Adobe InDesign is a fantastic desktop publishing program, but is still prohibitively expensive for many who only need a casual page layout app. The monthly subscription model of the Adobe Creative Cloud (CC) is still not quite right for casual projects and minimal budgets. So, what is a casual designer to use as an InDesign replacement? After a bit of research, I decided to try Lucidpress. 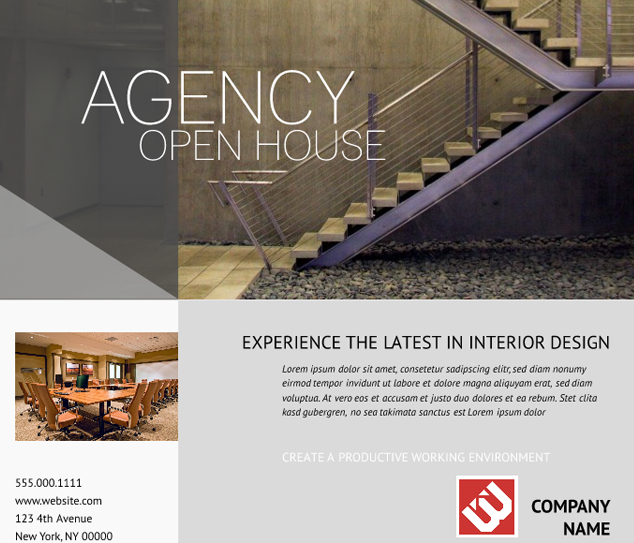 One of Lucidpress’s main advantages is that it’s a free InDesign alternative available online. For all the new Chromebook users out there who need a page layout tool, this is a major selling point and makes it worth checking out. For Mac users, there are a number of great Mac graphic design apps you can try if you’re on a budget. The first thing you notice when you look at Lucidpress though, is that it’s absolutely gorgeous. The team behind Lucidpress have put a lot of their graphic design skill into the application to make it easy for a casual designer to make fantastic looking documents. As a casual designer myself, this is definitely an ideal tool for me. Are you one yourself? Check out these graphic design tutorial sites if you need any extra design advice for your next DIY project before you jump into Lucidpress. So, you need to make a brochure, flyer, poster, newsletter, invitation, certificate, report, or a pamphlet? With Lucidpress, you can fire up a template, add some text and images and create a professionally designed document in minutes. This cuts down the learning curve required for many professional graphic design tools. The process is smooth, simple and above all — beautiful. Oh, and did I mention free? Yeah, free. The interface is intuitive, and easy-to-use with drag-and-drop at the heart of it. Canvas sizes can be changed easily and the template adjusts accordingly. And, if you’re not a fan of the templates, you can create something from scratch. So it’s always going to be possible to create something just right. If you need to import images or text into your document, Lucidpress makes it easy to access. Import from Google Docs, Dropbox, Facebook, Flickr, Google Image Search and also via an icon finder. There are four modes of viewing a document, making it easy to work with different aspects of your creative work. At the bottom of the screen you’ll see icons for the Layout Mode, Interactivity Mode, Comment Mode, and Preview Mode. Lucidpress enables real-time collaboration within their system, so you can get feedback from colleagues as you create your document. It’s easy to switch between layout view, interactive view, preview, and comments view and take on feedback when required. Each document window has its own chat, for instant discussions with team members. All editors can make immediate changes to the file, which is tracked in Lucidpress. This means you can also keep track of how useful any given contributor was for each project. Online collaboration also means you can easily work with distributed teams, and share the document with stakeholders for feedback before publication. Editing privileges can be adjusted according to the user’s requirements. And because it’s online, users on any operating system can use Lucidpress. Note: there is no offline access to Lucidpress. Collaboration is via Google Drive, which is easy to connect to your Lucidpress account. You can sign up to Lucidpress using your Google login to make the process really simple. If you’ve used LucidChart, their Google Drive Chart-making application, before then you’ll need to use the same login for Lucidchart. Another dimension to Lucidpress is the ability to create digital documents for an online audience. Video or GIF images can be embedded into something resembling a brochure, so that readers on an iPad or computer can get even more from your creation. Lucidpress also offers you a choice of a secure URL for publishing or embedding your content. Items can be placed on different layers, and overlays can be used for interactivity. Links can be placed on any object. If anything looks confusing, check out Lucidpress’s huge tutorial section where there are lots of walk-throughs and videos. This is not the only way to display your content though. Documents can be saved instantly as a JPG, PDF or PNG file, so you can distribute your files easily with these file formats. One downside to the PDF export though is that text is converted to images within the PDF, which is not ideal. Lucidpress is also available with paid options, making it a tool businesses can use for more intensive use. Freelancers with casual needs can get all the use out of a free account. I’m convinced that Lucidpress is the best InDesign alternative in the cloud, and with the benefits of collaborative design it is really going to go places. Take a look at Lucidpress’s example documents if you want to check it out yourself quickly. What sort of designer are you? 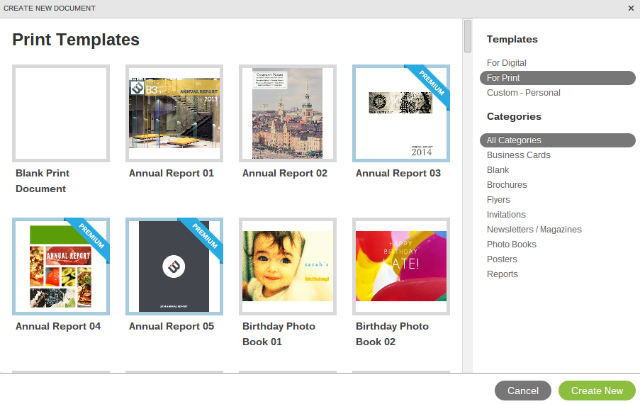 Are you keen to try out Lucidpress’s gorgeous templates, or are you just looking for a free online design app?